The demand for virtual meetings has increased, and so has the need for virtual meeting skills. Meeting leaders are faced with significant challenges of keeping virtual meetings productive. Specifically designed for individuals who have completed training in The Effective Facilitator, this course unveils the engagement tools and techniques you need to make your virtual meetings more productive – even from behind a screen or speaker. 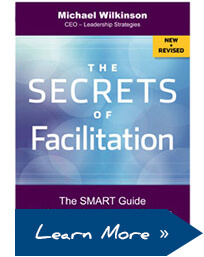 You will be taken through each of the 10 principles you learned in The Effective Facilitator with instruction on how to apply the skills virtually and with hands-on engagement. The same proven methodology you learned to apply in your face-to-face meetings are adapted to the virtual environment so that your remote meetings will be just as successful. In just one day, you will walk away with the preparation and confidence to use your virtual facilitation skills immediately. Our instructors promise the same Practical, Dynamic, Interactive approach – our “PDI Difference” – you experienced in The Effective Facilitator. Meeting leaders who use WebEx, Adobe Connect, Microsoft Live Meeting, GoToMeeting, or any other web conferencing tool. NOTE: This course is taught using the Microsoft Live Meeting software application. This is the agenda for public classes. For private classes, the agenda may be tailored to meet participants’ specific needs. We regularly conduct public classes that are open to individual facilitators or groups from within organizations. The course is conducted over one day and costs $895. With a larger group, a private class may deliver a better value. With a private class we’ll customize the course and bring the techniques and tools you need to conduct a virtual meeting to you, at your convenience. Find out how we can tailor this course to meet your needs. It is our intent that only one individual participate in our web-based courses per single registration. Also, to receive the full value of this course, we recommend that each registered individual participate on separate computers. When you register for this online course, we will send you a web link that you’ll use to join the session. This link is tied directly to the email address you specify when registering, and, therefore, can only be used by a single person. Also, only one workbook will be provided per single registration. We do recognize that on occasion a participant’s screen may be viewed by more than one person. Therefore, as a company policy, we permit up to five people to view our web-based courses from a single screen. If you or your organization would like to have more than five people view our web-based courses from the same or multiple screens, or, if you wish to have more than one electronic or hard copy of the course workbook, please contact one of our Leadership Strategies client relationship managers for special pricing or purchase additional individual registrations online.